Read below the inspiring poem "Do it Anyway". It was written by Kent M. Keith as "Paradoxical Commandments", and promoted by Mother Teresa. Generally it is known as Mother Teresa's "Do it Anyway" poem. Read more Motivational Quotes and Inspiring Stories in our Motivational Quotes Site "TheQuotes.Net". 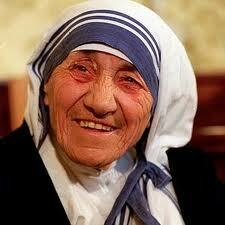 The below videos shows the Famous Quotes of Mother Teresa. Watch below the inspiring Interview of Mother Teresa. You can easily share this inspiring poem to your friends and Social Media friends using below share buttons. You can subscribe to our Email posts, and you can bookmark this blog for further reading, or you can subscribe to our blog feed.